I want to use socket messaging to communicate between IRC5 and PLC. IRC5 has a PC interface option (616-1). 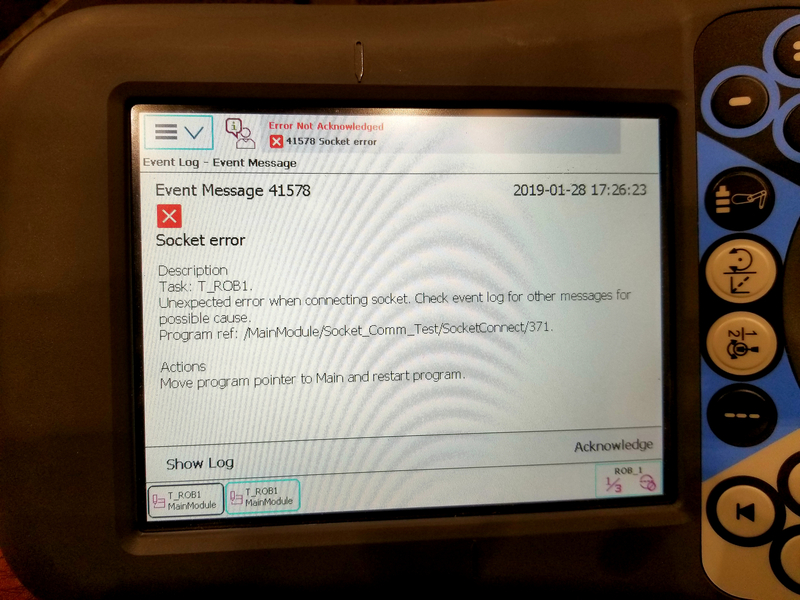 I have successfully implemented socket messaging by directly connecting a LAN cable between service port and PLC ethernet port. I have also tried a direct connection between LAN2 and PLC ethernet port. These connections work well and I can send/receive messages. IRC5 acts as client and PLC acts as the server. However, The PLC should also be connected to the factory network since it is performing other tasks over the public factory network. To overcome this problem, my network connections are as follows (see attached image). The factory network is fed into a switch which distributes the network to WAN port of the IRC5 and PLC. 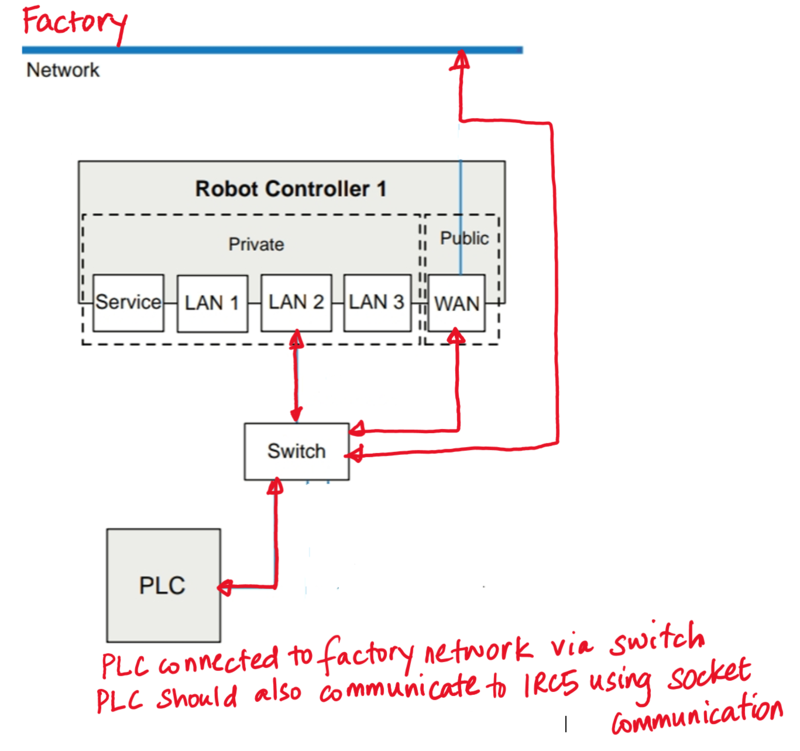 This makes sure that both PLC and robot are on the same factory network. I have also connected LAN2 to the switch. See attached image for detailed error message. The event log doesn't give any further information. Is it possible to use socket communication using factory network? Does it always have to originate from LAN1/LAN2 or service port? Any help/suggestions on solving this will be appreciated! Looks like the WAN port wasn't correctly hooked up to the public network, Hence socket communication was failing. This is fixed now.